The British government, influenced by mining company Rio Tinto, attempted to undermine an EU law that aims to bring greater transparency to the oil, gas, mining and logging sectors despite the government's public declarations that it supports more disclosure, the European lawmaker who led the negotiations said on Wednesday (10 April). The world's second-largest mining company, Rio Tinto Group influenced the British government's proposals and Britain was unhelpful in ensuring smooth progress of the legislation, Arlene McCarthy, a UK Labour politician in the European Parliament, said in an interview with TrustLaw. The EU legislation requiring companies to make detailed disclosures of their natural resource contracts was finalised by lawmakers late Tuesday after months of deliberation. McCarthy said it now is expected to easily win full parliamentary approval before endorsement by EU member states. "There is a general view really that they [Britain] were working very closely with Rio Tinto. Rio Tinto inspired a lot of their original proposal," McCarthy said of the British government's negotiating position. Britain hued closely during the talks on Tuesday to the industry position that companies should only disclose contracts at the government level, even though Prime Minister David Cameron had given a speech about a year ago saying that Britain was committed to the higher transparency standard of project-level reporting – a stance pressed by civil society, McCarthy said. Cameron has made transparency one of his three priorities as host of the Group of 8 meetings of major industrialised countries this year. In a speech in January in Davos, Switzerland, he explicitly called for more transparency in extractive industries as a way to combat corruption and alleviate poverty in resource-rich countries. But McCarthy said the UK's actions did not match his words. "On the one hand, the rhetoric is fine, claiming that you are leading on the issues, but that certainly was not the case when it comes to practical negotiations or influencing other member countries to try and get a better deal. They did not push for anything like that at all," she said. Cameron is Conservative Party leader and McCarthy is from the opposition Labour Party. The UK's Department of Business, Innovation and Skills said it consulted with a range of interested parties ahead of the vote. "We fully recognised the importance of working together with both NGOs and industry to agree a standard that improved transparency but did not impose unnecessary burdens on business," a department spokesperson said. 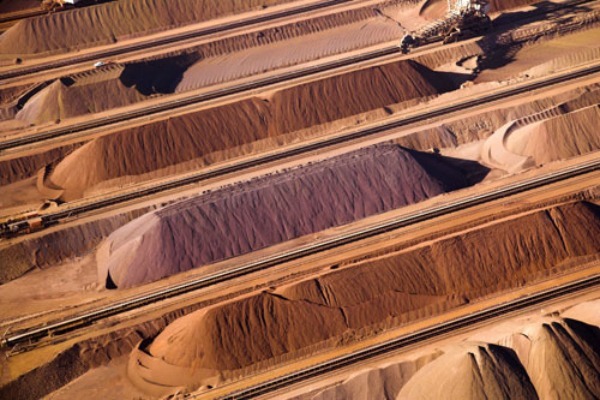 Rio Tinto spokesman David Outhwaite said the company would not comment on rumour and speculation and strongly backs transparency. "We support initiatives such as the [EU] Directive that encourage better governance, prosperity and stability in the countries in which we operate," he said. The European law orders firms to report payments at project as well as at country level, beginning at a threshold of €100,000. A major sticking point in the negotiations was whether companies should be excluded from complying with the regulations in countries which have national laws that industry says forbid the disclosure. However, the European lawmakers decided against allowing any exemptions, a position that Britain backed in public on Tuesday. "It was very important that there were no exemptions," McCarthy said. "For us, that was a very tough battle to fight with the member states because many of them wanted to have exemptions for these situations and cases where they argue that it is prohibited in the national companies' law where they operate to disclose that information – for which they failed to provide any evidence," she said. "That's why we weren't prepared to even countenance or negotiate on that issue," McCarthy added. The European law echoes tough legislation passed in the United States last year, which has led to a court challenge brought by industry body the American Petroleum Institute (API) against the Securities and Exchange Commission (SEC), the US financial regulator. McCarthy said that, taken together, the two sets of legislation amount to a global standard of transparency in the extractive sector. "We are talking in these very big extractive operations about a handful of very big multinational companies and now we will have global rules and the global rules are equivalent because we've made sure of that by working very closely with regulators in the US," McCarthy said. "Of course, my hope would be that the API may see the error of their ways and drop their lawsuit and recognise that in this day and age it is time to be more transparent," she said. The EU has adopted tough new laws on 9 April aimed at increasing the transparency of government payments from the oil and gas industry. The deal requires European companies to report payments of more than €100,000 made to the government in the country they are operating in, including taxes levied on their income, production or profits, royalties, and licence fees. The EU executive will oblige companies to disclose the payments they make at project level as opposed to government level only, revealing the sources of taxable government income from the extraction or logging industries. Ministers also agreed on a review clause to decide in 2015 whether to stretch the laws to include other industries, such as telecommunications and construction. When the EU and Brussels is transparent then they can spout about others. Until then Brussels should keep it’s collective mouth shut and leave National interests to national governments. I see British so called MEP’s who go against their national government as nothing more than unpatriotic and divisive There is a stronger work that springs to mind!. The sooner they all become redundant the better. Meanwhile China expoits natural resources all over Africa,often with “incentives” which are anything but transparent. The EP and EC should wake up to the real world; its entirely possible to be ethical and pragmatic. But of course the “European project” is more important than anything else. Mr Royal, given that Camoron is the UK’s official mouthpiece, given he talked about project level disclosures it is difficult to see what you are talking about (suffering a little bit of cognitive dissonance maybe?). Mr Par, Cameron, I never mentioned Cameron and it’s CAMERON I thin your red is beginning to show. Apparently almost all of EU-skepticism in British political circles is “inspired” by big corporations like Rio Tinto. They just won’t play fair.